Keep your teeth strong and healthy! Our dentists at Go Dental in Calgary provide dental fillings as a treatment to restore damaged and decayed teeth. A dental filling is a treatment to restore a damaged or decayed tooth back to a healthy state and function. It contains the cavity and prevents bacteria and acid from further damaging the tooth. Go Dental offers composite fillings for its Calgary residents. Composite fillings are tooth-coloured and made of plastic and glass. These fillings are the same colour as your natural teeth, thus blending in nicely with your surrounding teeth. Composite materials adhere naturally to the tooth, which means the dentist doesn’t have to remove as much existing enamel during preparation. Teeth treated with composite fillings receive restored strength. How important are dental fillings? A decaying tooth can expose the tooth interior to harmful bacteria. When bacteria enters the tooth, it can dissolve healthy tooth enamel and cause infection of the tissues. Dental fillings are an important treatment needed to restore your damaged tooth back to optimal health. 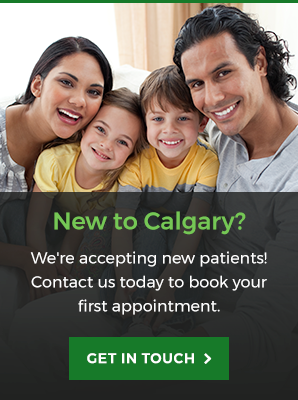 Call our Calgary dental office today to schedule an appointment. We're open 7 days a week for your convenience. I take great pride in providing the best dental care possible in an ethical and caring manner. I also make it a point to stay abreast of the latest developments in dentistry to better serve my patients.